Today authenticated documents are necessary for something as simple as preparing to admit your kid in a school to moving abroad. Since there are tons of people who travel abroad for employment/immigration or for any different reason, one of the important things you need to do is documentation (Personal, Educational Or Commercial Documents). Certificate attestation can be tiring and time-consuming. If your documentation is not proper you can face difficulty or rejection to stay in a foreign country. Getting your important certificates attested alone without any help from anyone else can be quite the daunting experience. However, there is no reason to worry as there are various document attestation services who will take the responsibility of verifying your certificates without any troubles. Regardless of your place of stay, you will receive assistance in obtaining official attestation by authorities. 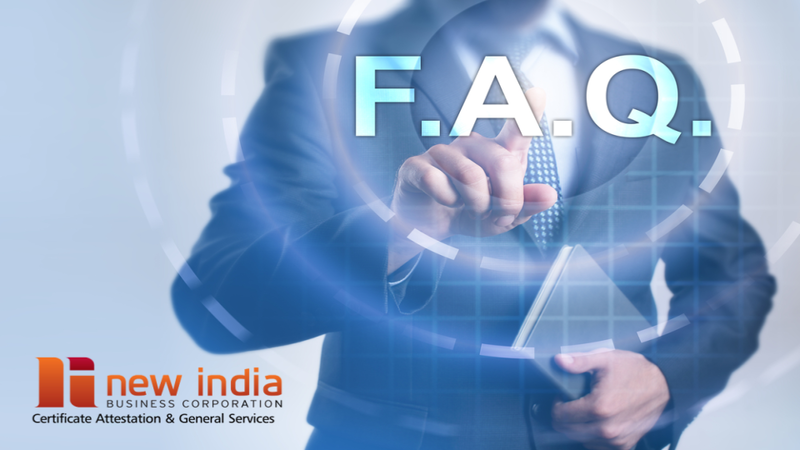 As most people have a lot of questions and confusion regarding Attestation and Apostille process and its documentation, we have tried to answer some of the most FAQ’s that our clients inquire in this article. 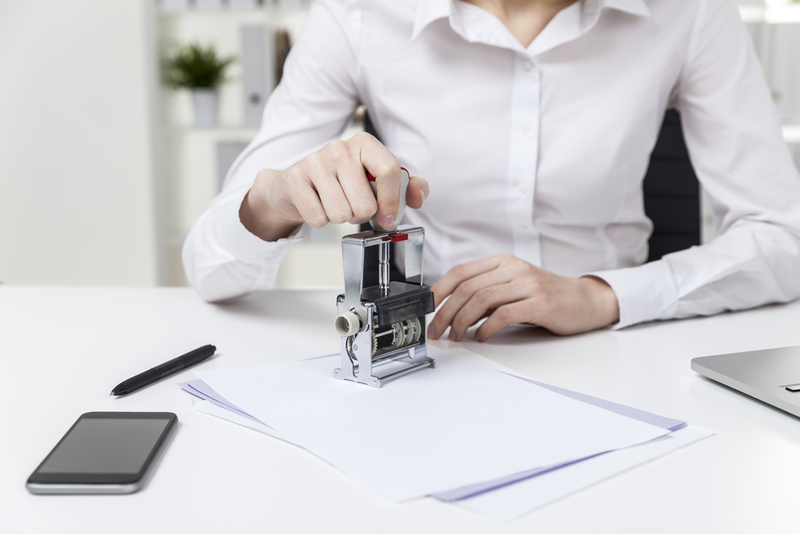 How do attestation and apostille differ from each other? People are usually mixed with the words attestation and apostille services. Attestation is considered to have the same concept as Legalization, the process of authenticating or certifying a legal document so that a foreign country’s legal system will recognise it as valid. This involves validating a document as authentic and the two terms are often used interchangeably. An Apostille attestation, on the other hand, is a certificate that authenticates the origin of a public document (e.g., a birth, marriage or death certificate, a judgement, an extract of a register or a notarial attestation). According to the Apostille Treaty (international treaty drafted by the Hague Conference on Private International Law), the issued apostille document can be used in any of the 118 countries who took part in the Hague Convention. What is the Hague Convention and how is it related to apostille documents? The Hague Convention eliminated the need of legalization for foreign public documents. It is, in essence, a multilateral treaty. As verification of documents is a time taking process, to make it easy and hassle-free, several countries joined hand and formed a convention in 1961 called the Hague Convention. The 118 countries that fall under this convention allows you to use the same apostille document without needing the particular Embassy attestation of the country that you are planning to visit. Why would I need attestation? You’ll need to prove the authenticity of your original documents/ certificates by getting it attested with the signature of the verifying department as the first and the foremost step if you’re planning to visit another country, no matter whichever country you belong to. What is the procedure involved in attesting a document? The general process involved in legalizing or attesting the document is the submission of a copy of the passport with the original documents as per the requirement of the country where you wish to travel. Required documents may differ from country to country. Attestation by Ministry of External Affairs. The process may vary depending on the various countries as per their rules and norms. For example, UAE attestation services have two more additional steps to the authentication at the UAE Embassy of the country you belong to and after this, it further undergoes authentication by the Ministry of Foreign Affairs. What if my certificate is laminated? If your documents are laminated, it is required to remove the lamination of the document as the verification seal or stamp will have to be put on the document itself and will not be valid if done over the lamination. Some countries require the attestation stamp to be put on the backside of the documents or certificates, hence, the removal of lamination is a must during legalization of documents. Are my original documents safe during the attestation procedure? YES. Although we can’t vouch for the rest of the attestation agencies out there, we can promise you that we, at New India Attestation Services, understand your concerns about your original documents and we know how important they are to you. Therefore at New India Attestation Services, our professionals and highly vetted team take great care of your original documents and take every measure to keep the safety and privacy of your documents. How much time and cost is needed to complete the process? It completely depends on the type of attestation and the country from where you want your attestation to be done. Time and cost for the attestation may vary, as every country has its own time and fee structure to deliver the documents. You should ask your attestation expert about the same at the time of application. If I have already done the HRD and MEA attestation, will I need to do it again? No. Once the attestation from HRD or MEA is done, the applicant does not have to reapply for the same. This is done for a lifetime. You have to be careful in choosing any attestation agency and should pick a company who has been in this industry for a quite long time, to make sure they have the required experience and a professional team, for the process of attestation. People often overlook the responsiveness and efficiency of a particular service provider. Quick response and effective cost are two simple features you should be searching for in any attestation service provider. New India provides genuine certificate attestation services with excellent customer service. Unlike most other service providers, we clearly understand, identify, and forecast your needs. With years of experience and a broad range of services in the industry, it’s safe to say that we are one of the pioneer and stable organizations in India.